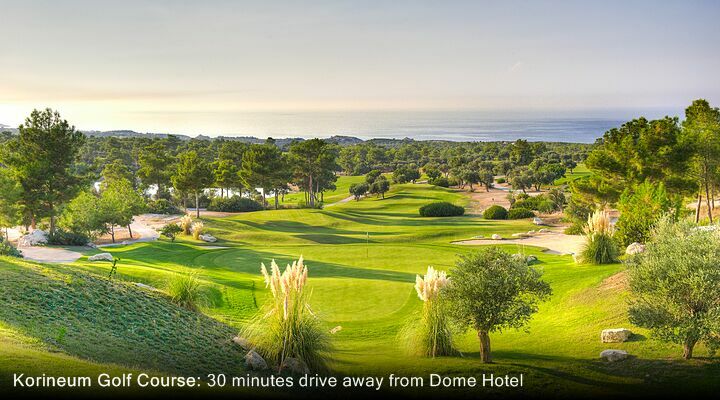 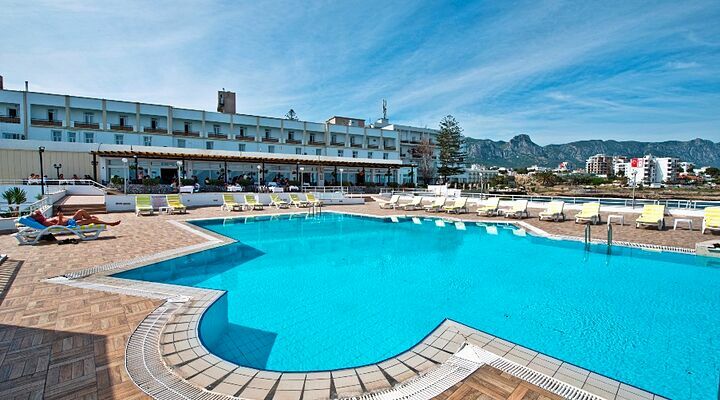 7 Nights from £459 inc Flights, Hotel & VIP Transfers - £220 OFF! 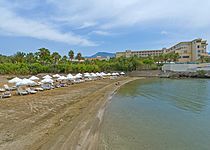 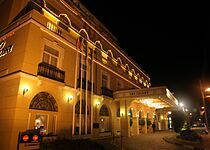 A ‘grande dame’ of Cyprus hotels, remembered with nostalgia by the generations of British guests who have stayed here. 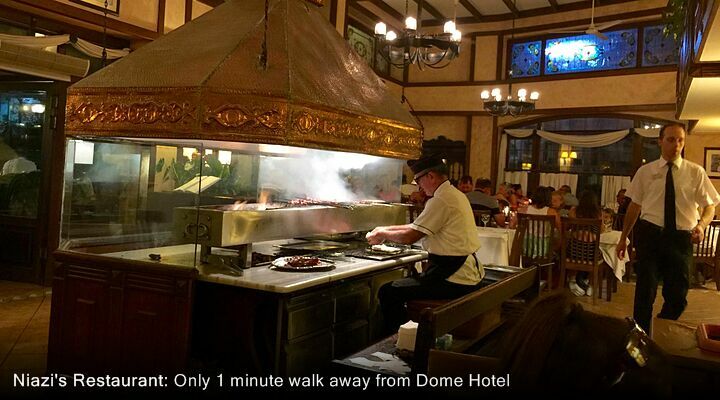 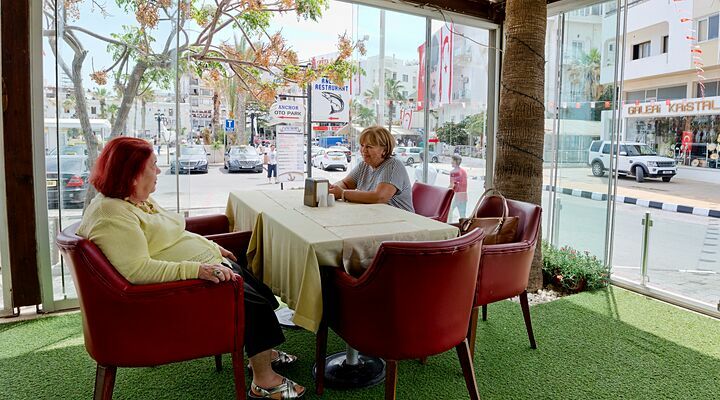 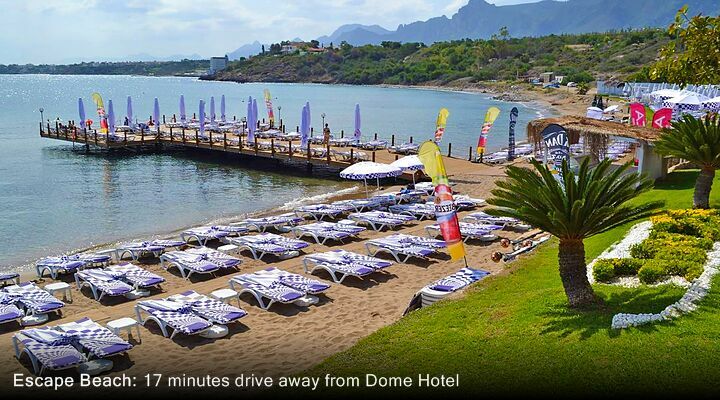 The Dome has a stately 70 years of history, and has long been the focal point of social life in Kyrenia. 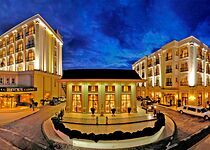 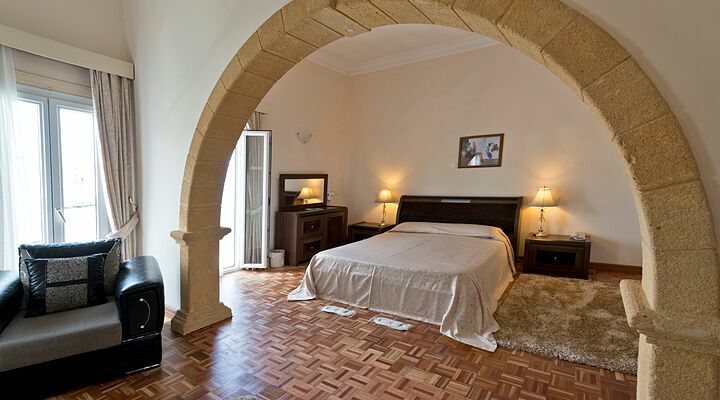 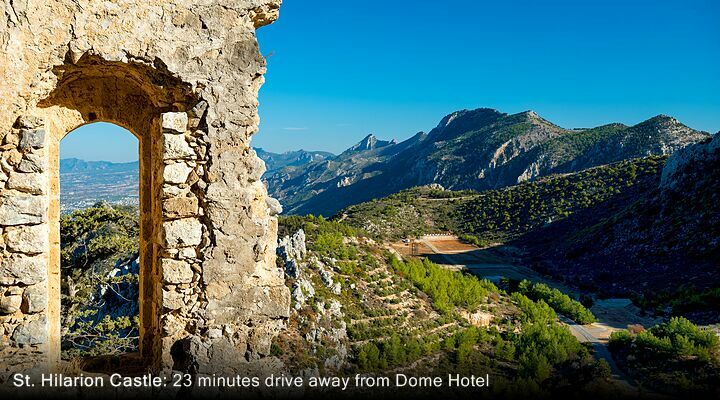 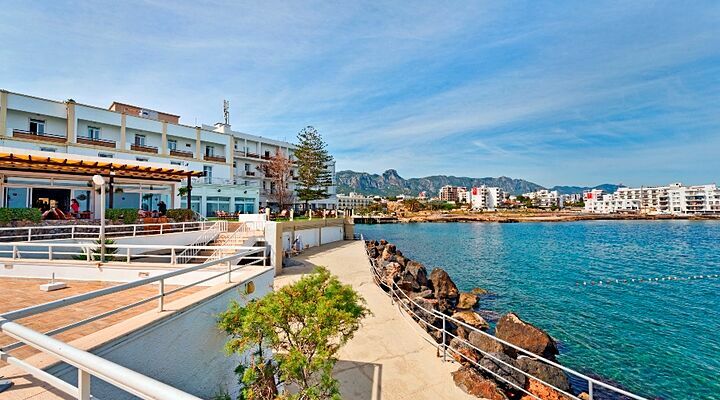 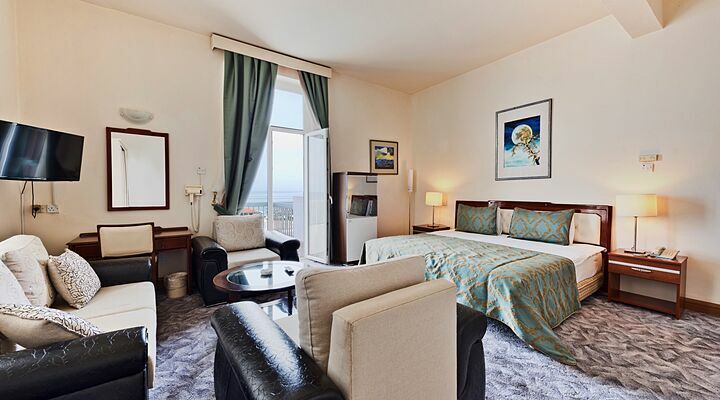 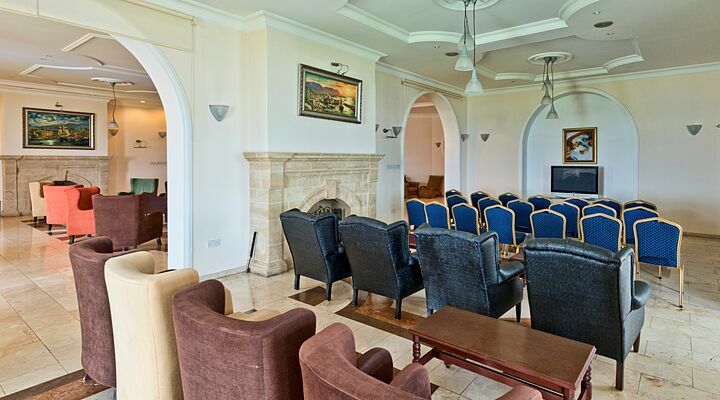 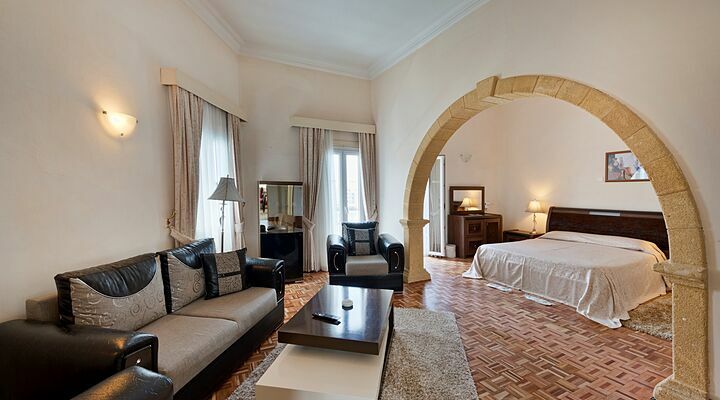 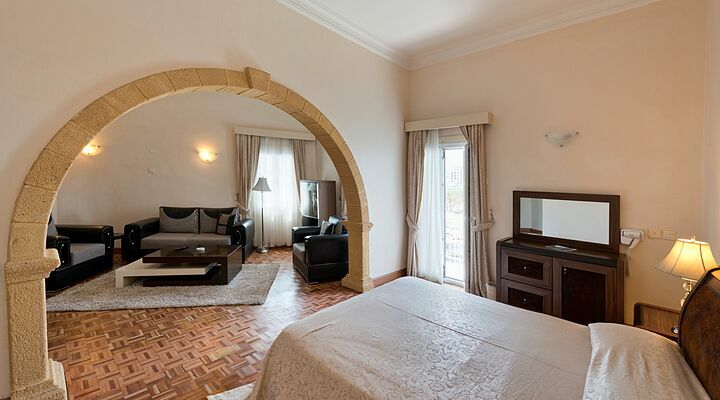 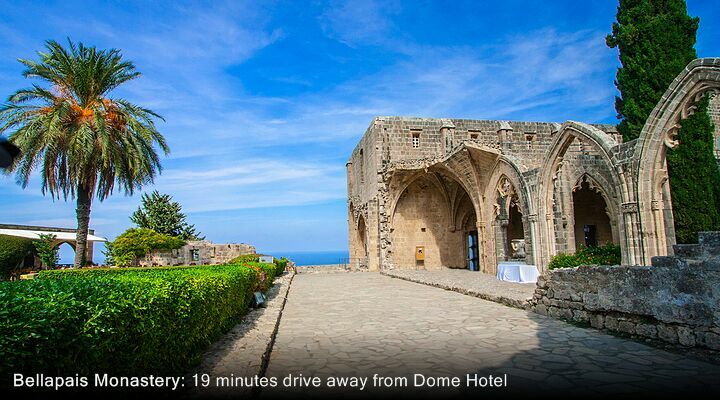 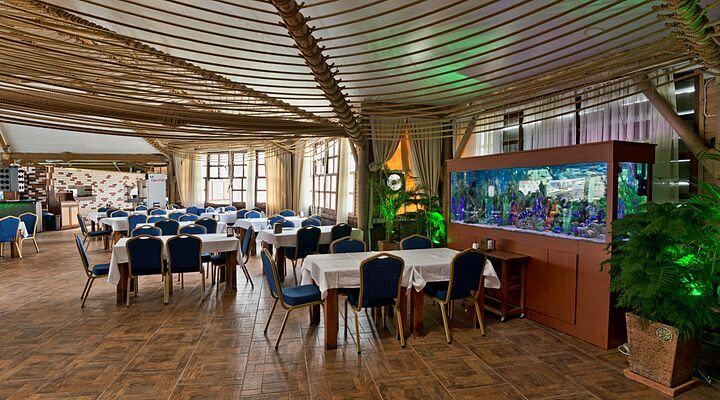 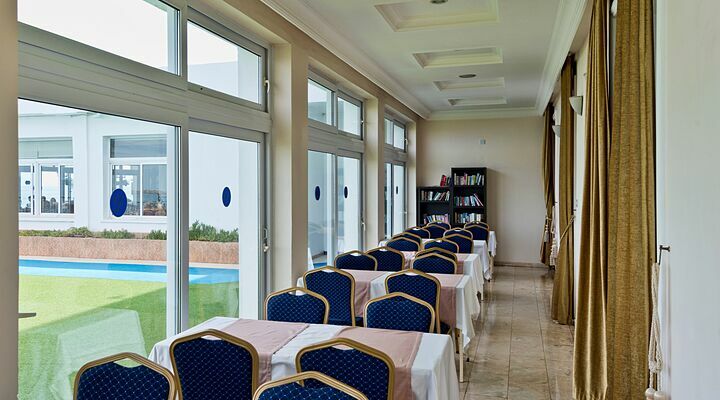 Dating from the time when the British governed Cyprus, the Dome Hotel is a Kyrenia landmark. 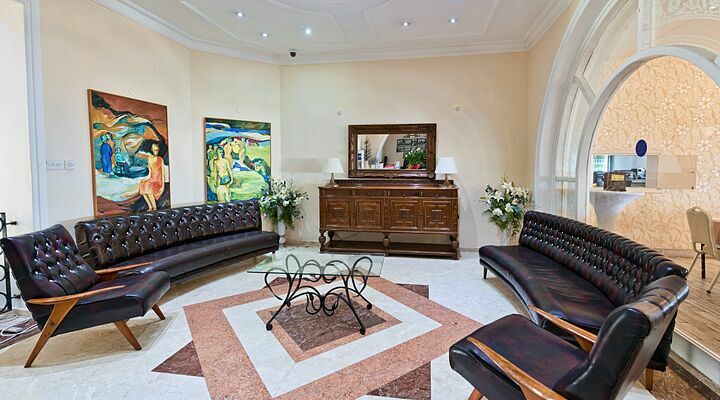 Quietly elegant and quaintly charming, at the Dome you're back in an era of respectful service and gentile elegance. 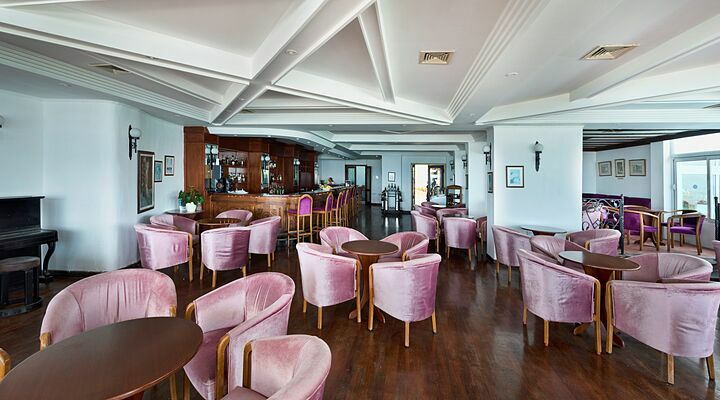 Afternoon tea is served in the lounge, a pianist plays gently during cocktail hour, and nobody rushes anywhere. 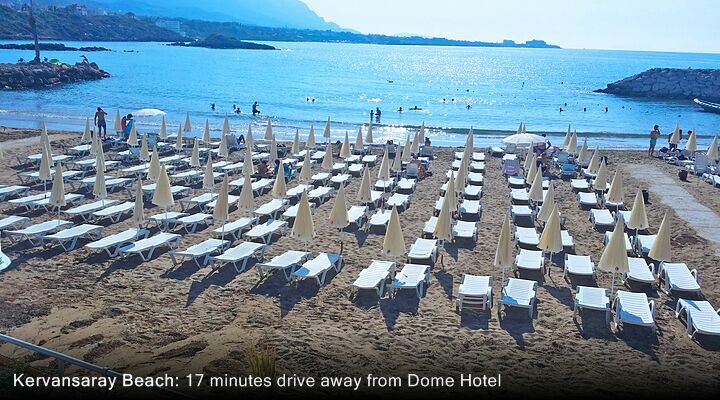 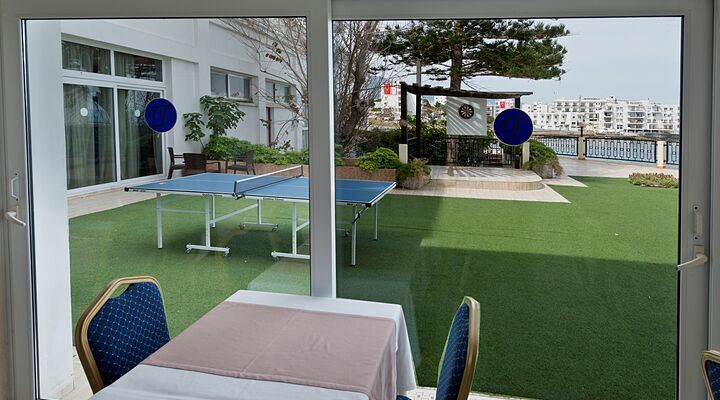 With its own private seafront area, and Kyrenia's historic harbour just a short walk through town, the Dome Hotel is ideal for those who like to enjoy life at a leisurely pace. 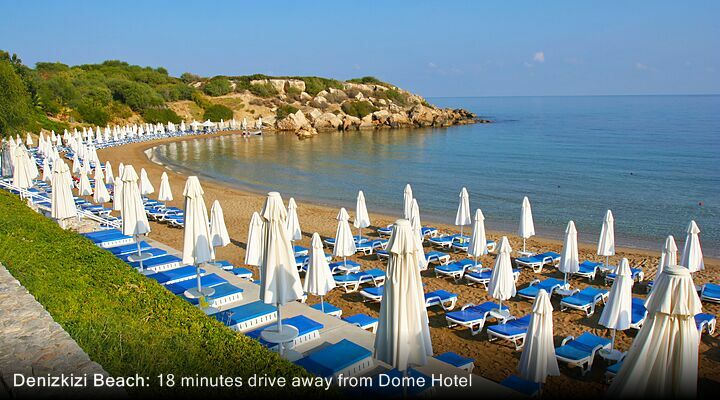 The Dome Hotel enjoys prime position at the end of its own promentary stretching out into the sparkling Mediterranean Sea. 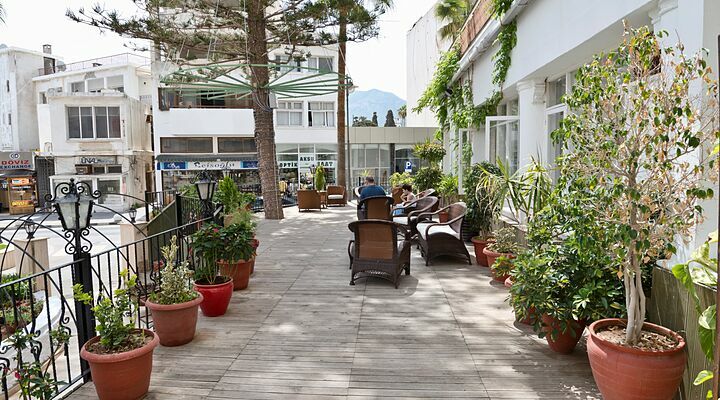 Sit on your bedroom balcony and soak up the views, or stroll down to the terrace for a drink accompanied by the gentle lapping of waves. 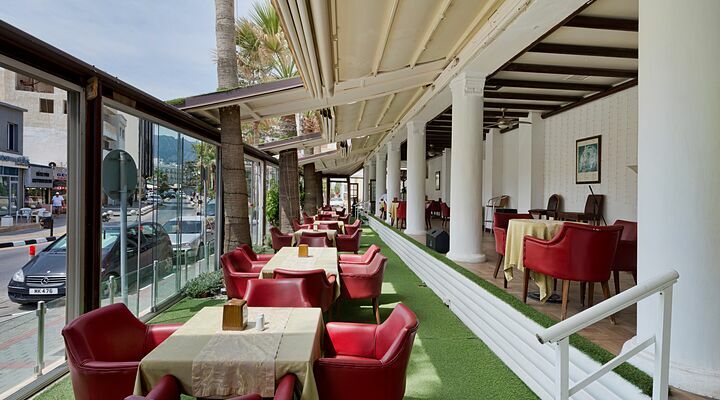 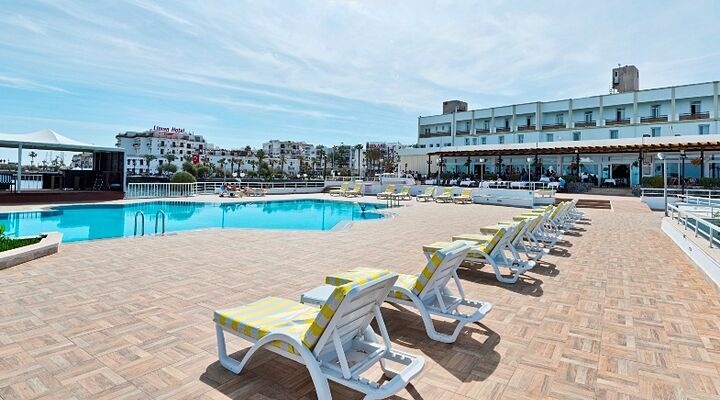 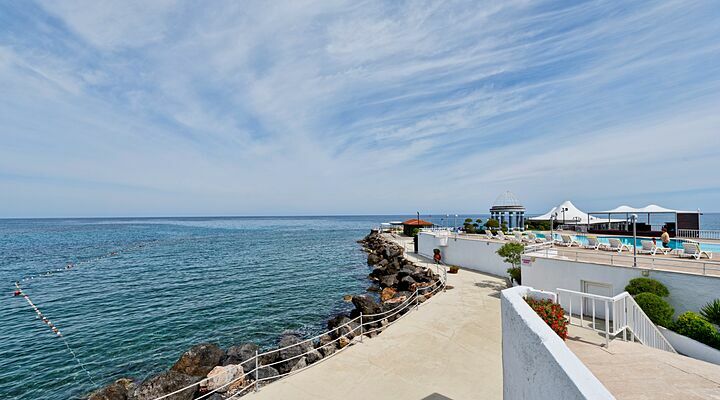 Soak up the sun on the upper terraces, or enjoy the sea breezes on the lower terraces right next to the water's edge. 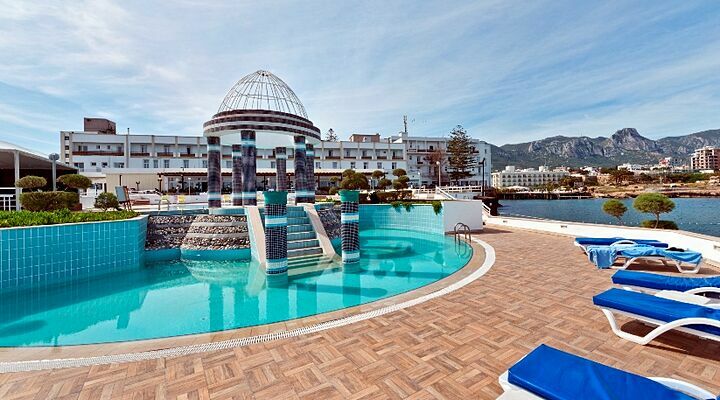 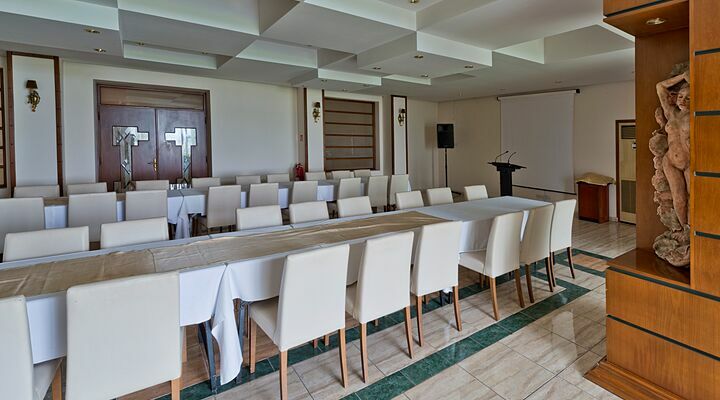 Check availability and the best rates for the Dome Hotel Kyrenia using our online instant quote form (it's on the right of this page), or call us on 0800 612, Monday - Friday 7 am to 9 pm, or until 4 pm at weekends. 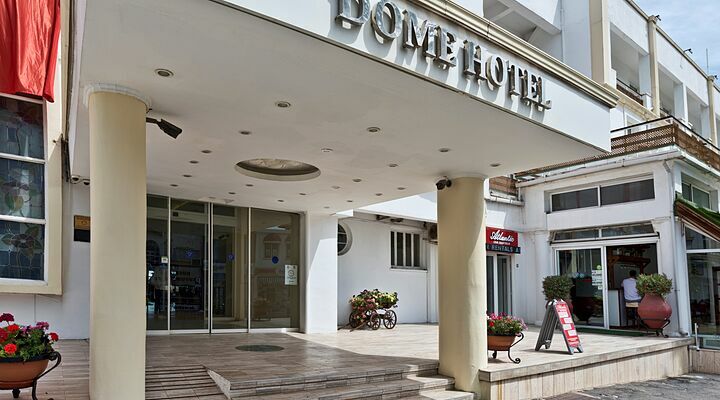 The Dome Hotel gracefully arcs towards the sea, so many rooms have an uninterrupted sea view (the others enjoy mountain views). 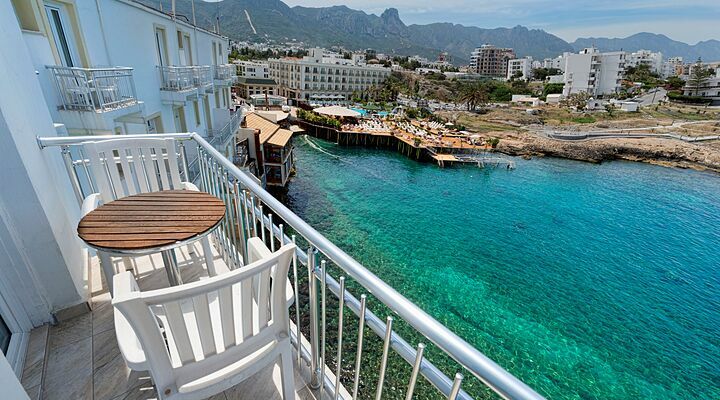 Throw open the doors and sit on the balcony with a drink from the well-stocked minibar. 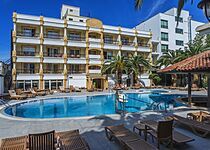 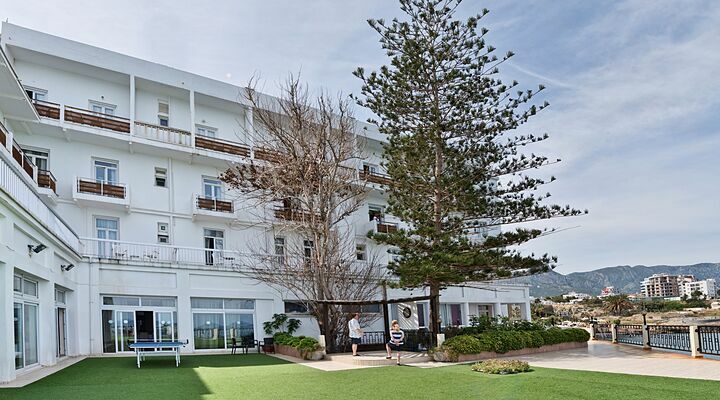 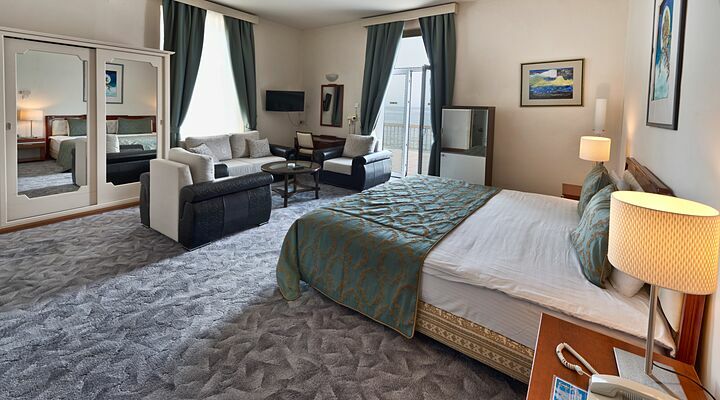 You'll also find a flat screen LCD satellite TV with BBC channels, a safety deposit box and a hairdryer, as well as air conditioning and complimentary wifi, so you can email the family or share your holiday photos. 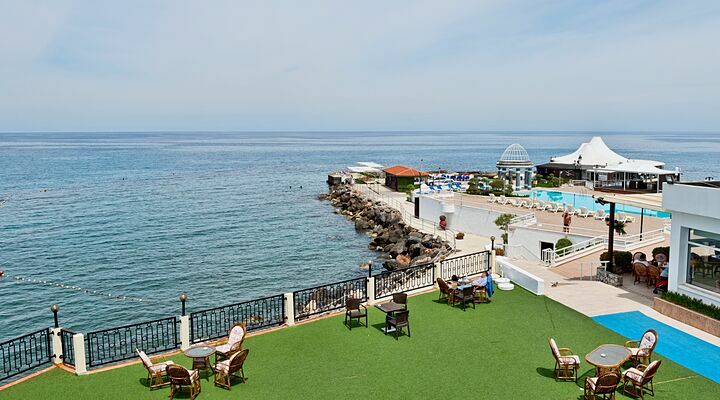 The Dome's swimming pool is just what you want for a cooling swim or morning exercise; not too long, nice and clean, and with relaxing views to the sea from the loungers alongside it. 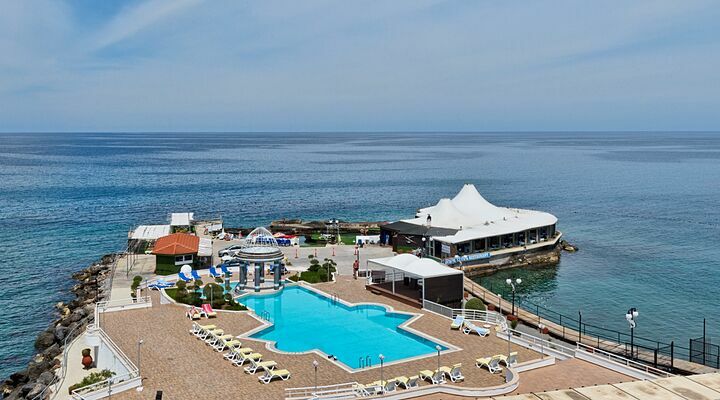 There is a children's shallow pool as well, and the trademark copula (dome) at one end makes a pretty picture with the vast blue horizon beyond. 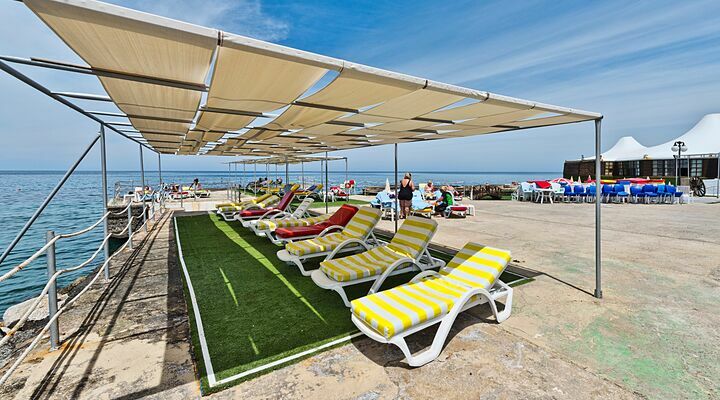 Beyond the pool are the lower level terraces, covered with astro-turf so it's soft on the feet. 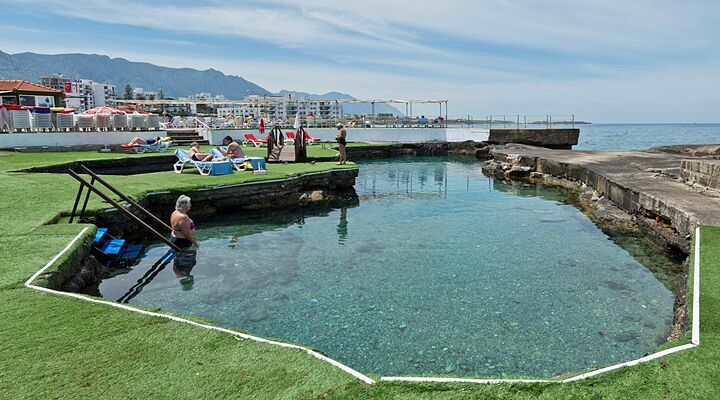 Here you can relax beside the lapping waves, or take a dip in the large sea water pool that's refilled naturally by the tide each day. 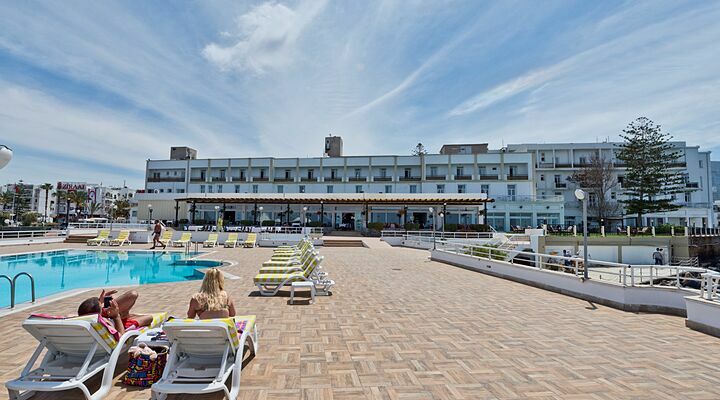 Both pools share a small but well-stocked bar, for cool drinks and lazy afternoon beers. 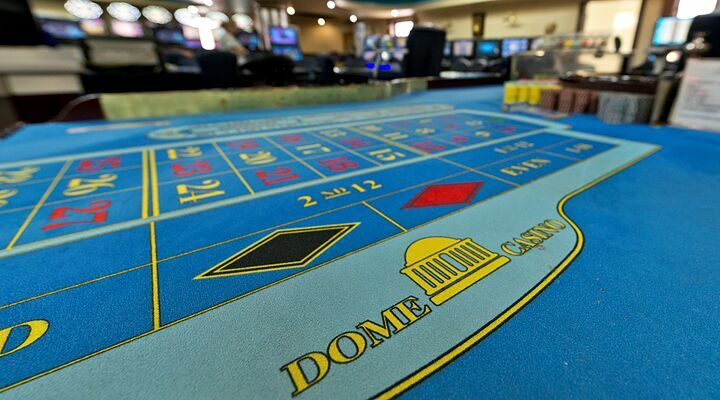 The Dome prides itself on its old-fashioned values of discreet service and customer enjoyment, so there are plenty of places for guests to relax. 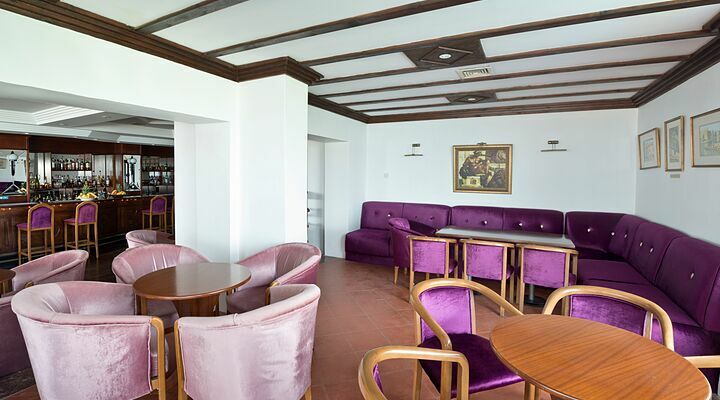 There is a reading room for quieter moments, comfortable seats in the Dome's bar area, and plenty of space on the terrace to sit and do nothing! 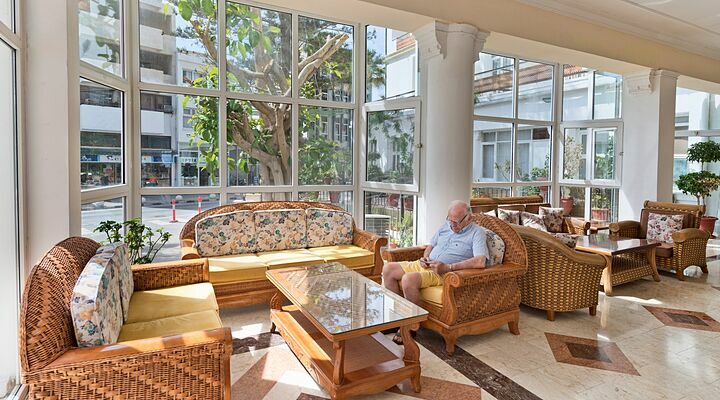 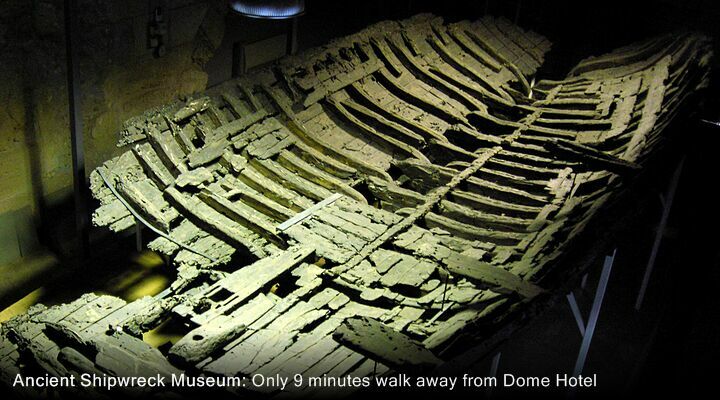 Most areas also have wifi so you can catch up on the latest news from home on your phone or tablet. 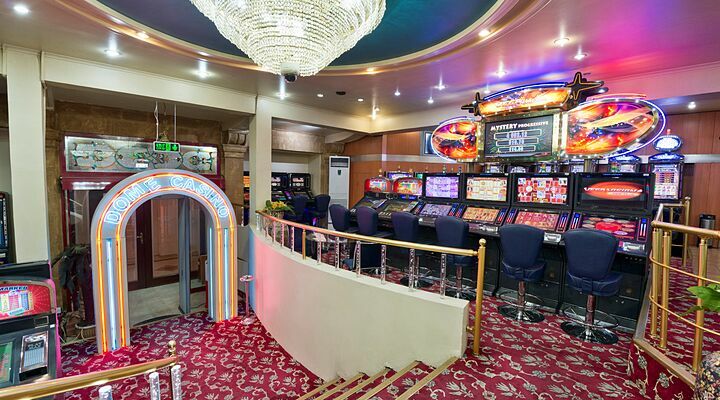 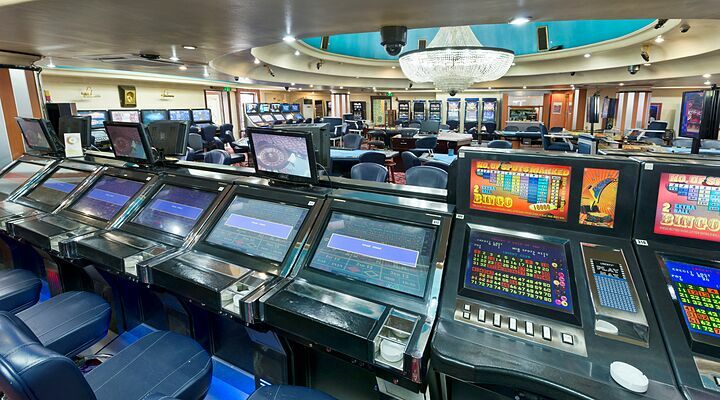 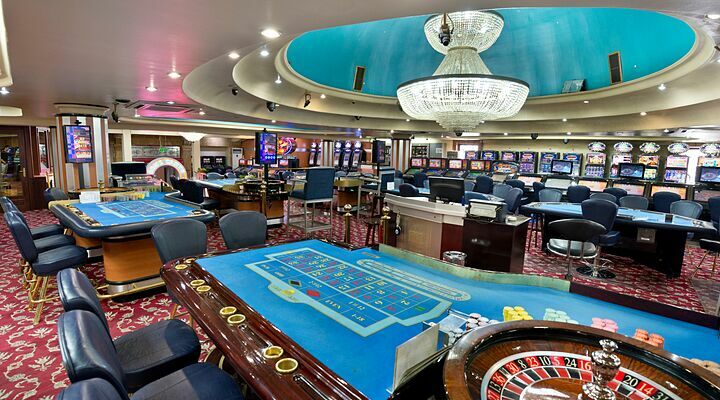 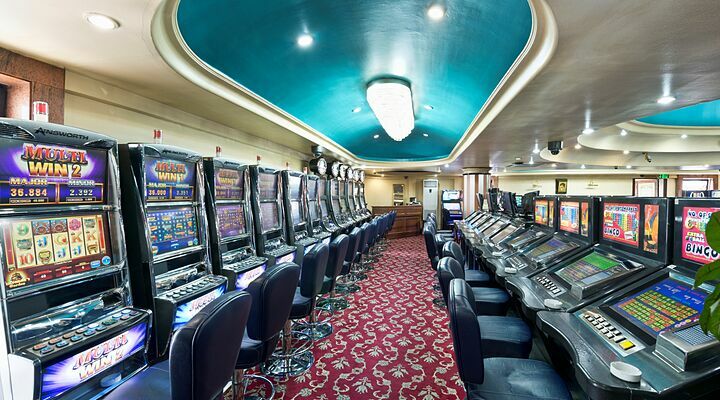 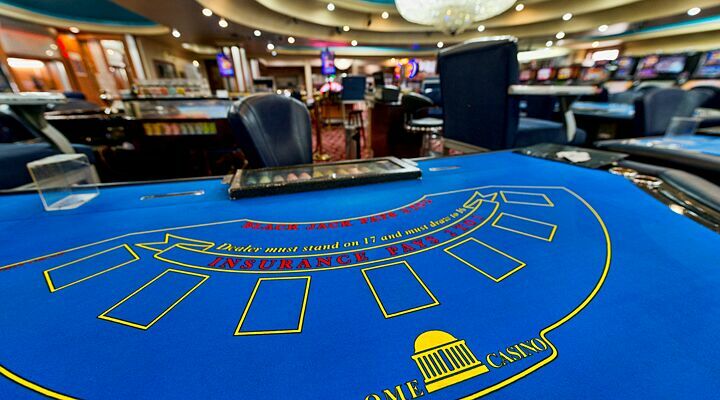 In the evenings, relax with a sunset cocktail, or have a flutter in the Dome casino on traditional table and card games. 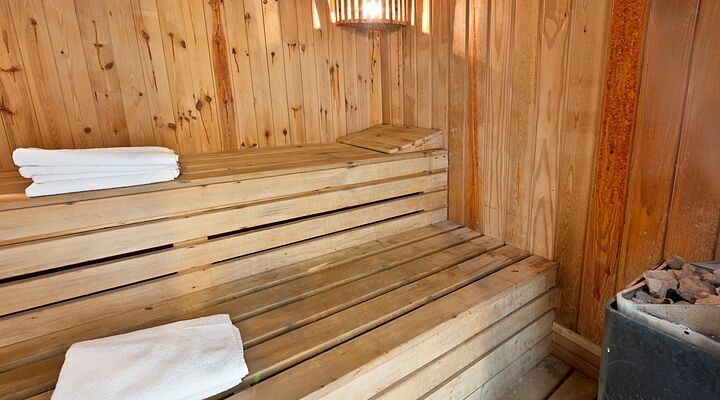 For winter breaks, the hotel sauna can help soothe tired muscles or aching joints from climbing the steps in Kyrenia Castle, and massages are available on request. 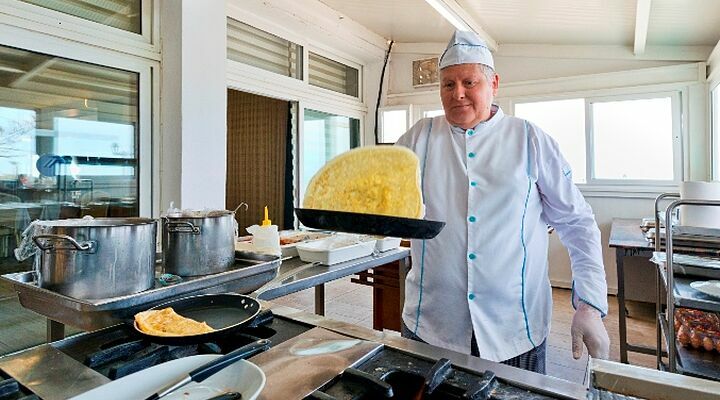 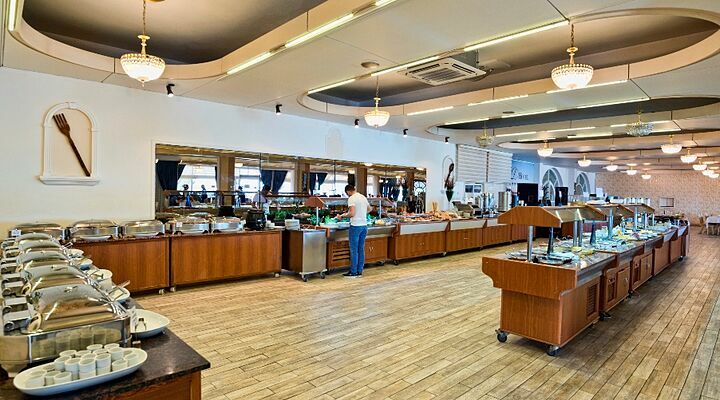 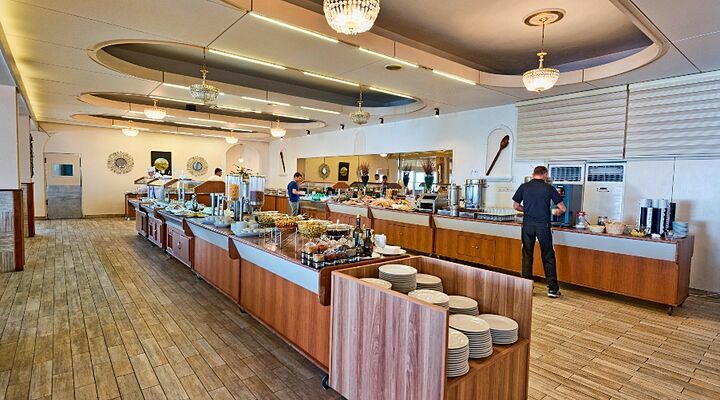 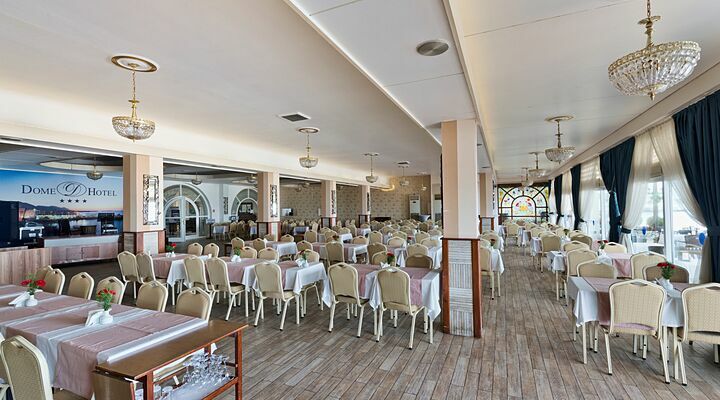 The Dome's renowned buffet breakfast is served in the main hotel restaurant, with dinner served either in the cool of the main building or outside under the stars on the terrace. 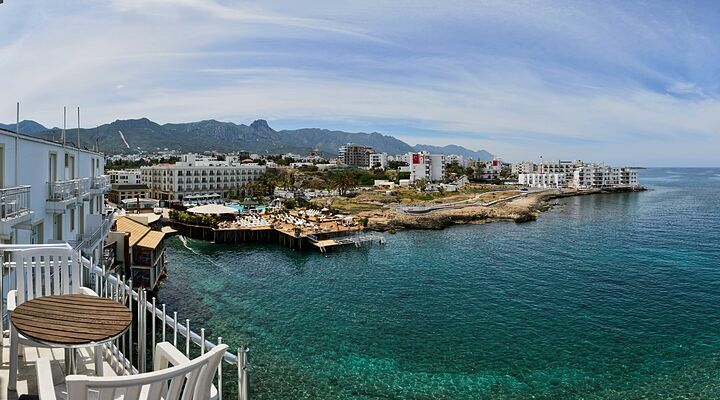 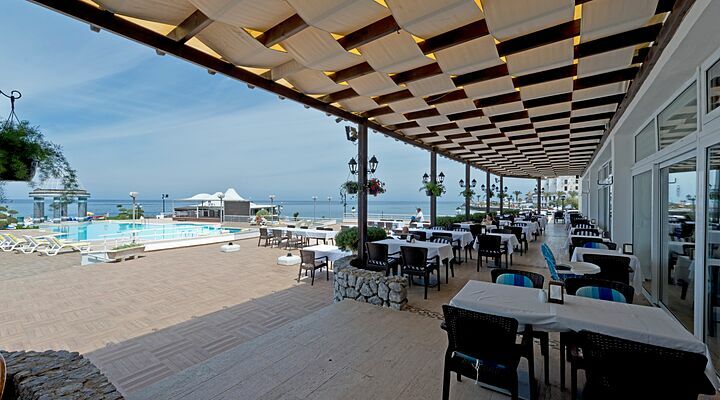 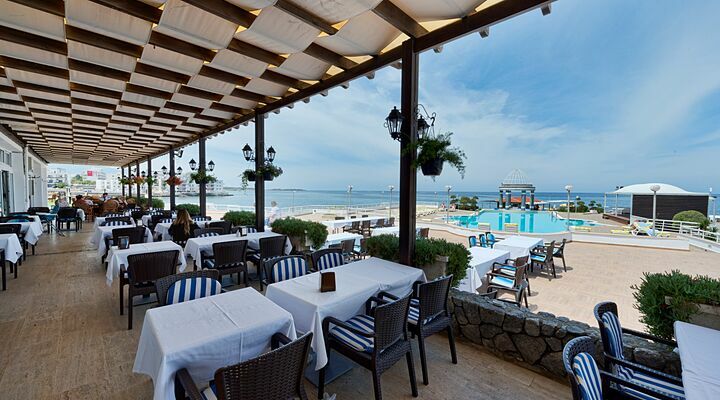 You can enjoy lunches and snacks from the poolside restaurant, a classic cocktail from the American Bar, or watch all Kyrenia pass by from the shady terraces of Café Dome. 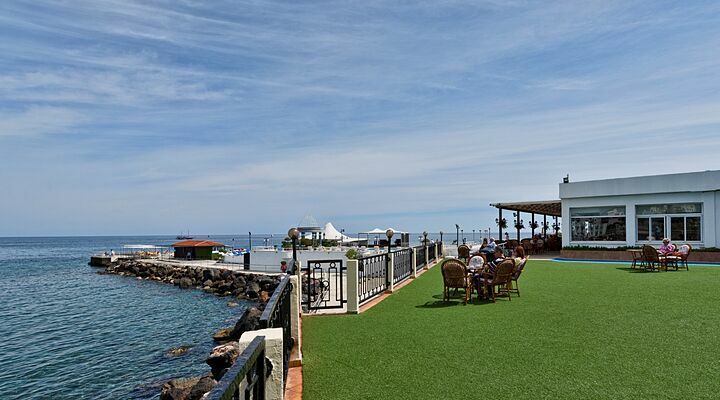 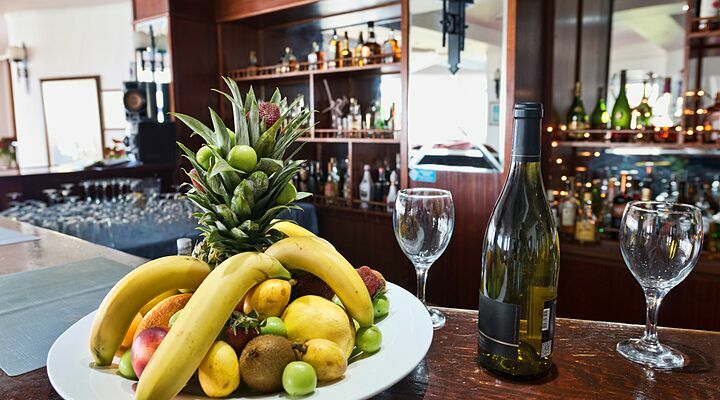 Set out on the hotel's pier, the Anchor Restaurant serves healthy snacks during the day before switching to an a la carte menu for special evenings literally on the water. 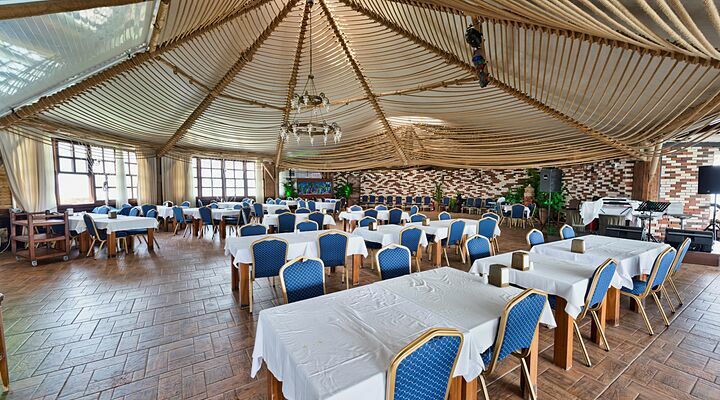 The restaurant also holds traditional Cypriot Taverna nights, for a taste of true Cypriot hospitality. 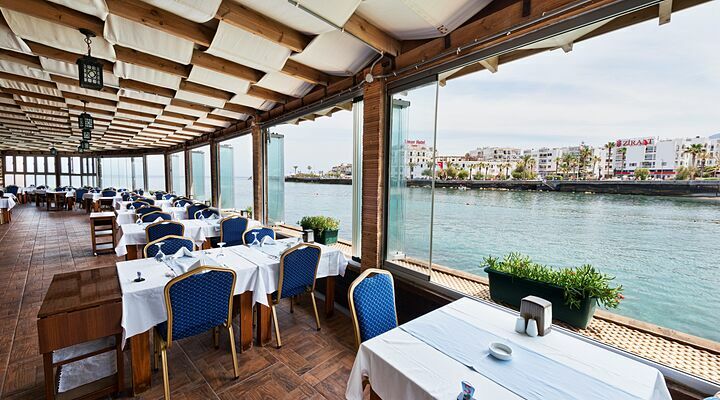 Step outside the peace of the Dome Hotel and you're in the pretty town of Kyrenia with its shops, restaurants, bars and historic sites. 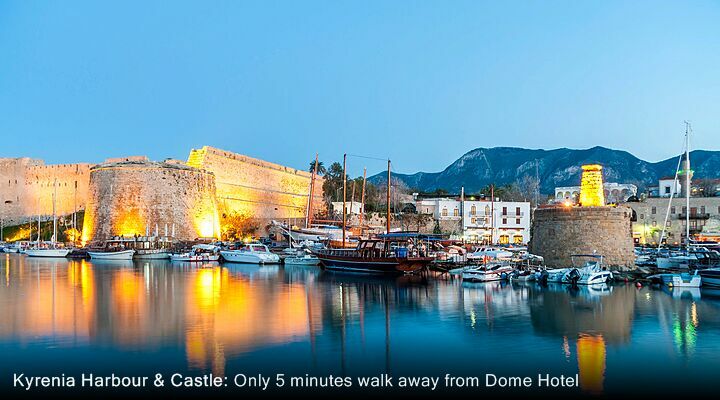 Stroll to the harbourside for a morning coffee and baklava in an old carob warehouse café, or climb the walls of Kyrenia Castle to imagine the past of Invaders! 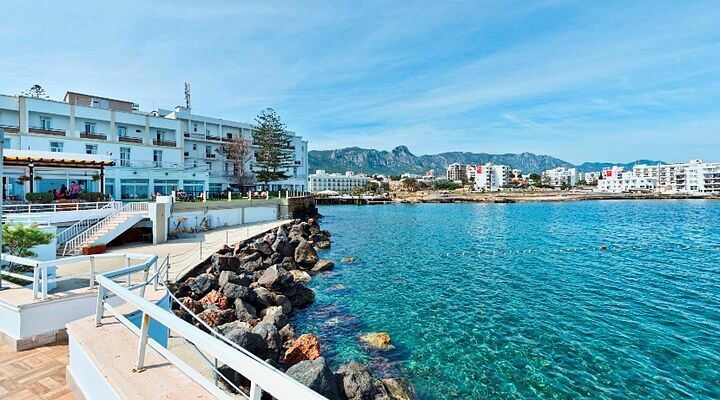 With so much within easy walking distance, including boat trips from the harbour, and excursions collecting you direct from the hotel door, you really won't need a hire car during your stay. 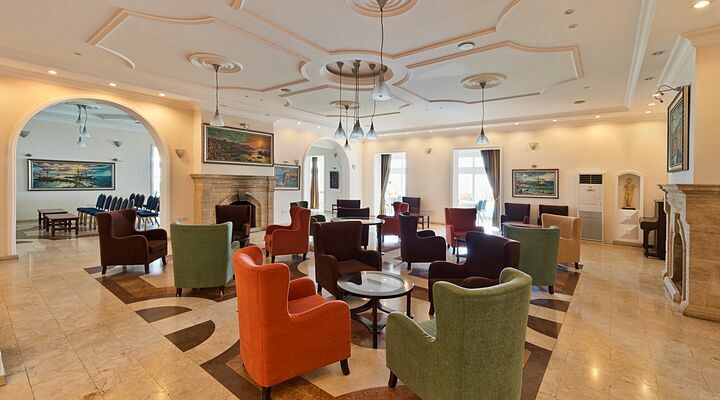 With just 40 mins transfer time from Ercan Airport, you can enjoy the Dome's classic service and elegant surroundings for longer!